Come and bring your friends this Friday, November 27 at Trilogy Boutique & Canteen, 110 Alvion Rada St. Legaspi Village, Makati City. 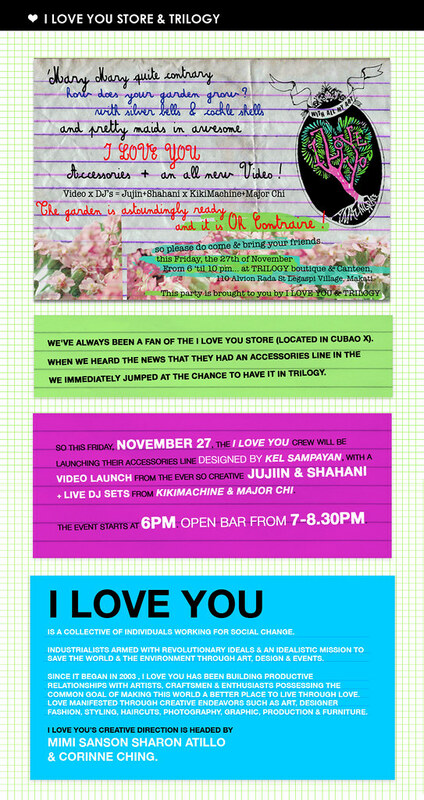 I LOVE YOU crew will be launching their accessories line designed bby Kel Sampayan, with video Launch from Jujin & Shahani. 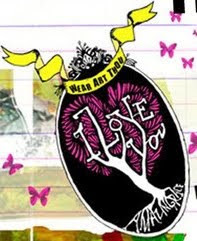 Live DJ sets from Kikimachine & Major Chi.